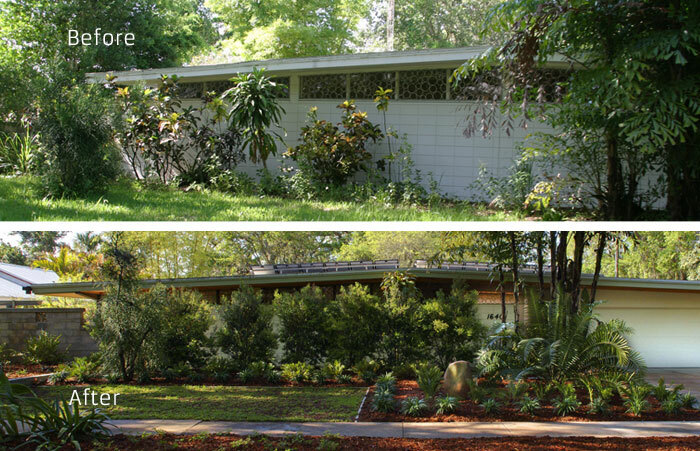 A mid-Century Sarasota home is Suburbia Transformed by landscape architect Dane Spencer. 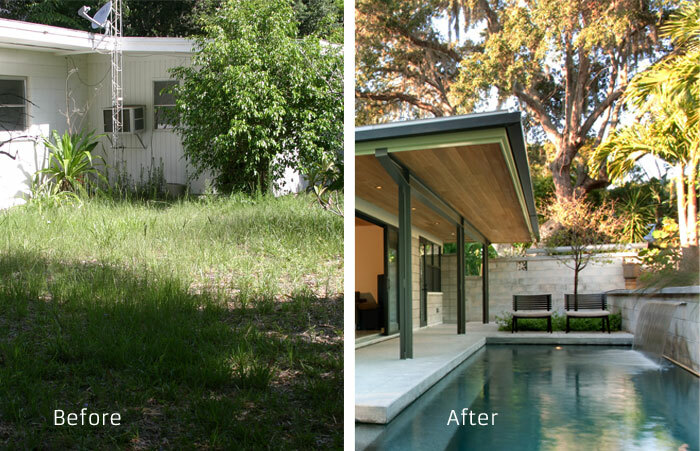 This house was mostly in an original, but lived-in condition when discovered. 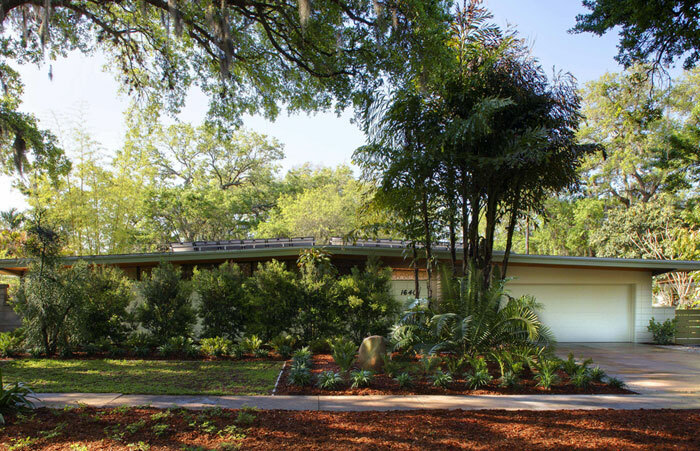 A combination of architecture and landscape architecture would be needed to bring the house out of its shell and into harmony with its surroundings. One of the opportunities that presented itself during the design phase was the idea to make structural changes to extend roof overhangs and create a corner of glass. 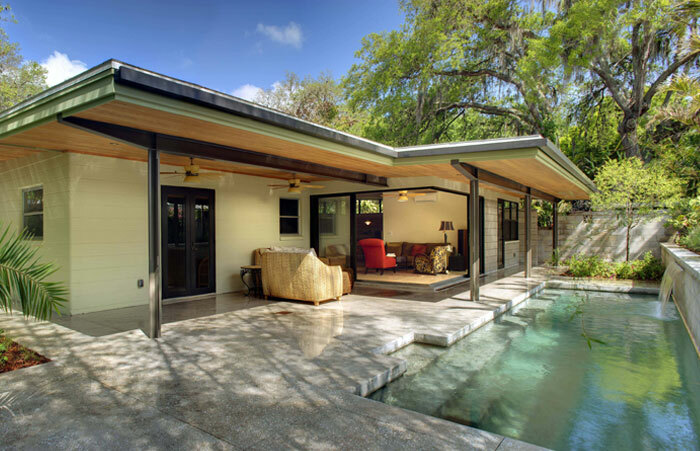 The opening up of the house to the outside provided a seamless conversation between the outside and in and created a sheltered patio just off the main living area. With a greater connection to the garden and a near panoramic vista, the original four-foot chain link was front and center in view. 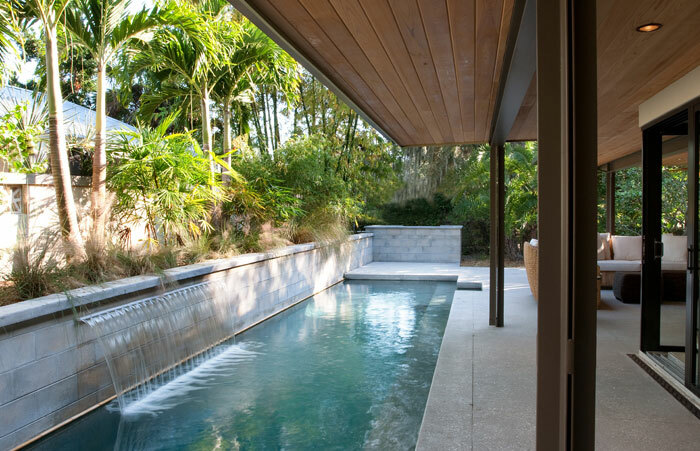 Replacing it is a beautiful backdrop for water and plants in the form of a six-foot decorative concrete wall, planter and waterfall that edges the length of the pool and provides elegant separation from the house next door. The pool is enjoyed whether in use – or as a modern tableau to be absorbed by the senses. 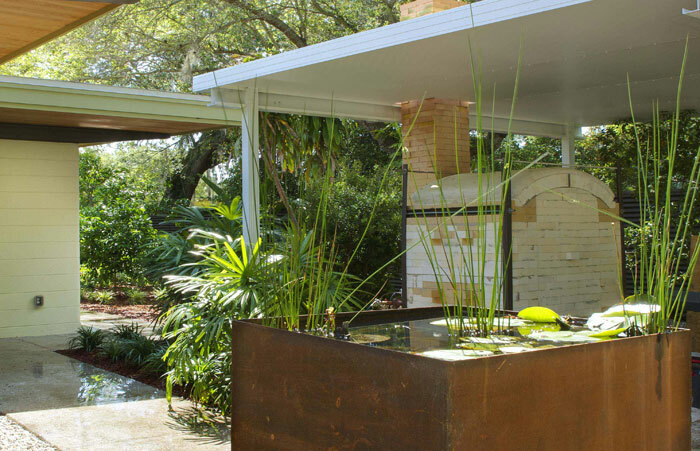 3,000-gallon rainwater cistern captures and redistributes collected rainwater. 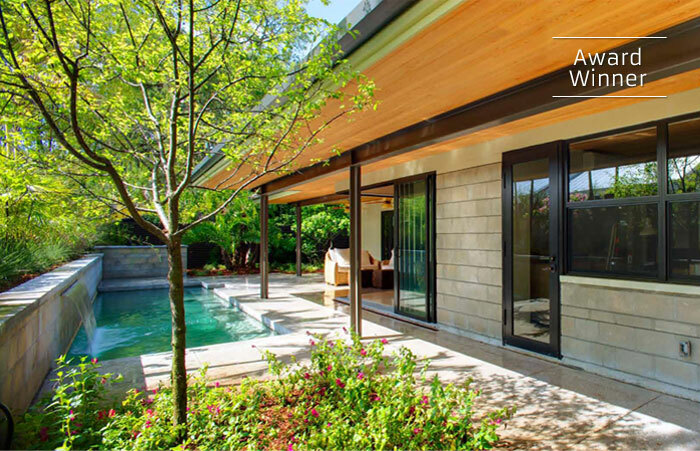 This Wisconsin residence is a collaboration between Dane Spencer Landscape Architecture and Greg Hall Architects, PA. Greg was given the challenge of renovating the house and making better use of existing spaces, while keeping the plan within the same footprint. 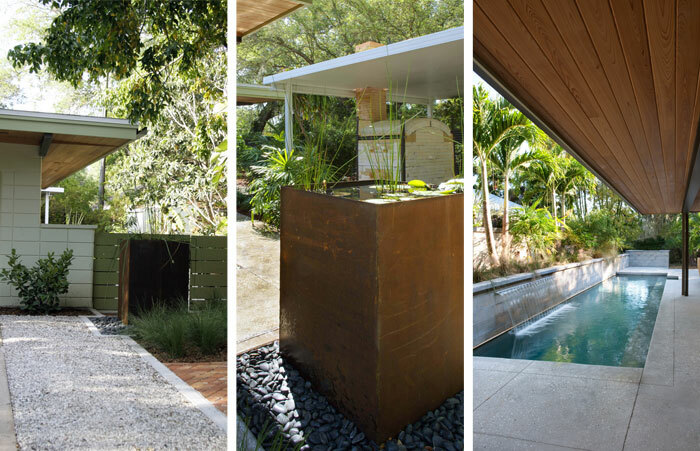 Opening the corner to the garden is one example of this collaborative. Quick view of some of the projects.